This mode is pretty straight forward, it will compare the timecode of your assets and look for the corresponding values in the imported MovieSlate file. 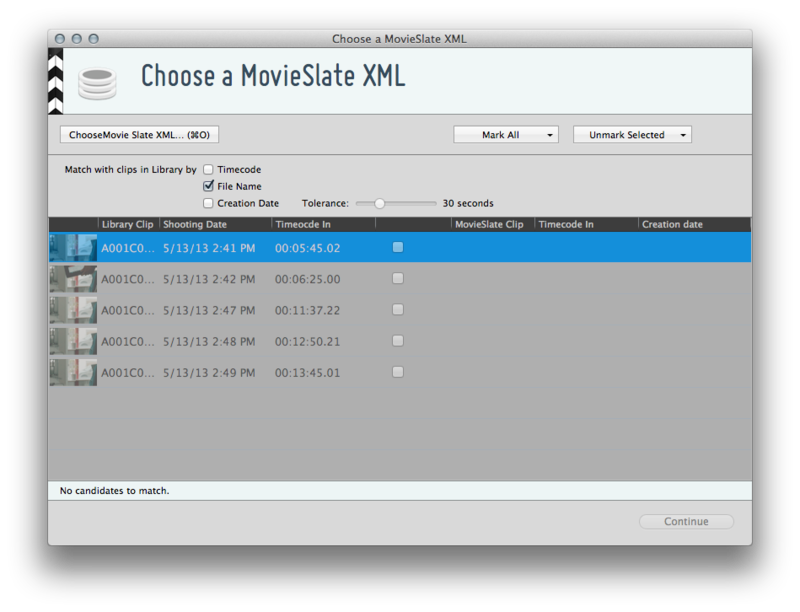 If the timecode of MovieSlate is synced with the camera each asset automatically matches with a clip from the MovieSlate XML. Matching by timecode also offers the possibility to automatically set the in-point to the slate frame. The File Name mode works literally and compares the exact filenames of your offloaded assets with the clips from the imported MovieSlate XML. Even the smallest disparity will force Silverstack not to match the Assets with the MovieSlate metadata. 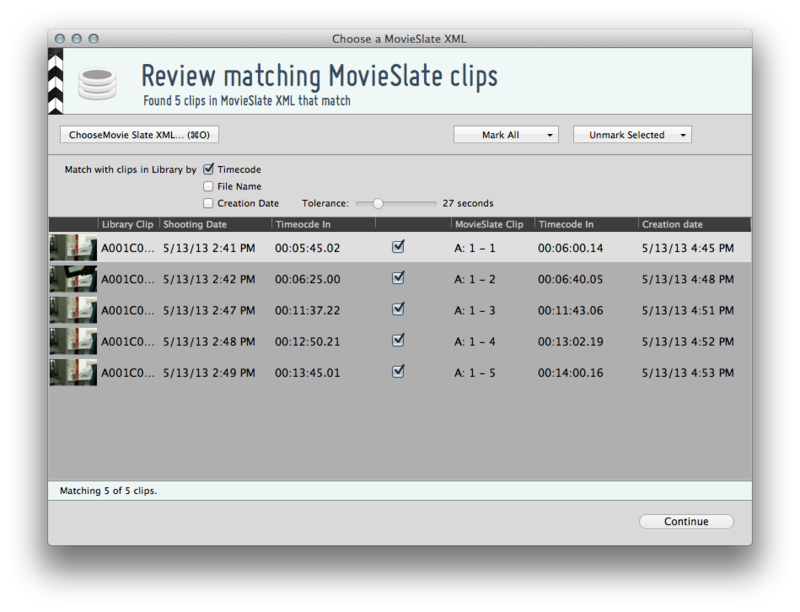 This mode matches the creation date of your assets with the creation date of your MovieSlate clip metadata. This mode is working with approximation. You have a “Tolerance” slider which can help you to adjust the time difference between the camera and MovieSlate clock. You have a range from 1sec up to two minutes. This method is fuzzy and a high tolerance can lead to misinterpretations.